You won’t see them at the pub celebrating St. Patrick’s Day, but these four-legged friends are as Irish as can be! In celebration of the holiday, the American Kennel Club offers eight dog breeds that hail from Ireland. --Soft Coated Wheaten Terrier: The breed has a special connection to St. Patrick’s Day, having first appeared in the show ring at the Irish Kennel Club Championship on March 17, 1937. The breed is prized for its soft, silky, wheaten-colored coat which sheds minimally. Wheatens enjoy plenty of exercise and are happy, alert dogs. --Irish Setter: The Irish Setter was among the original breeds recognized by AKC at its inception in 1884. 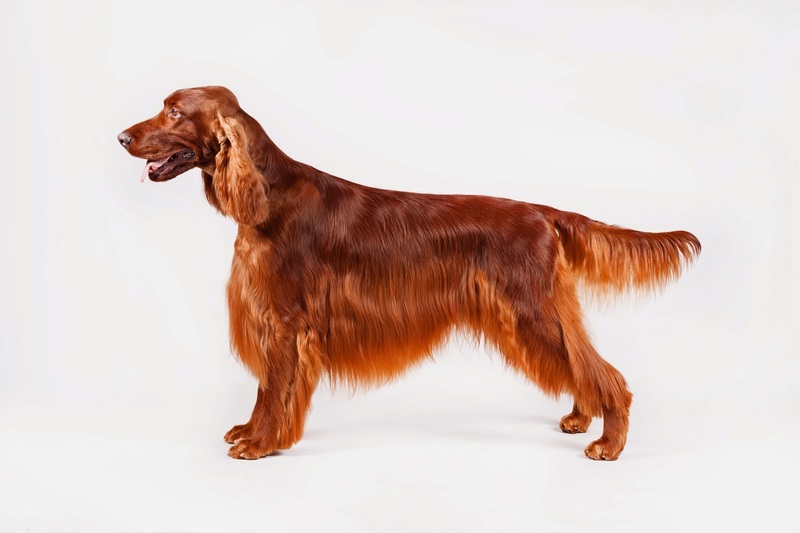 Irish Setters are high energy dogs with clown-like personalities and require regular exercise to satisfy their breed instincts; they are tough and tireless field retrievers. They are also loving companions. They are active, fun-loving dogs that require regular grooming for their beautiful mahogany coat. --Irish Wolfhound: The Irish Wolfhound is the tallest of all dogs. They are primarily family companions, but they do require a lot of space and exercise due to their large size. 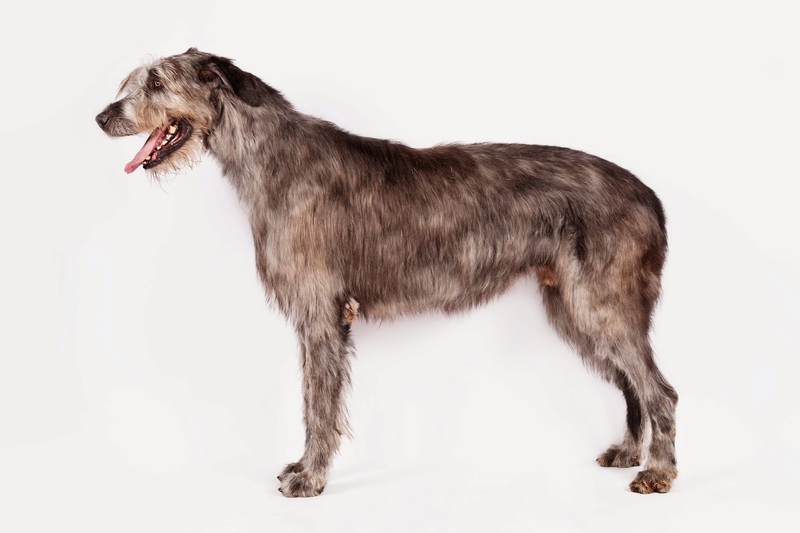 Irish Wolfhounds are gentle hounds with a keen sense of sight and tremendous endurance. They have a harsh, natural coat that requires regular brushing. 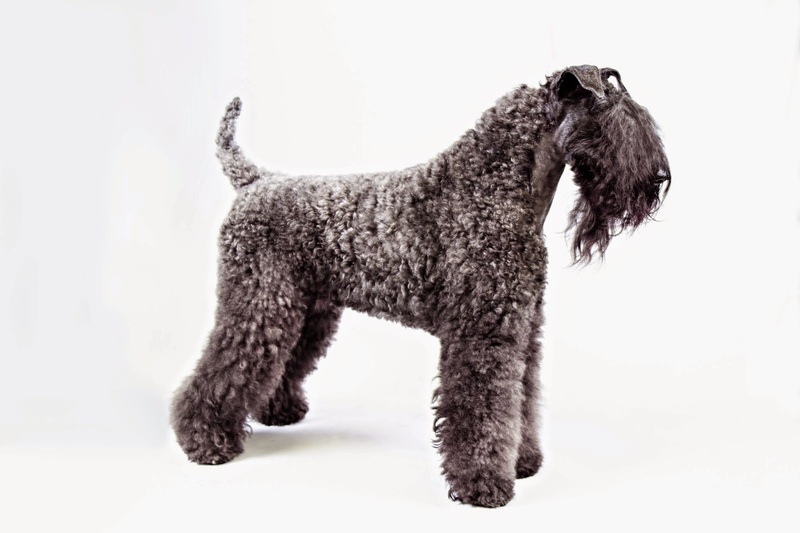 --Kerry Blue Terrier: The Kerry Blue Terrier is known for his superior working and hunting skills. The Kerry Blue was originally bred for hunting small game and birds, and for retrieving from land and water. The breed is very energetic and loves being a part of a family. Their coat requires regular brushing and trimming. --Irish Terrier: The Irish Terrier was featured in the 2007 movie Firehouse Dog, where it was cast as a canine hero. Irish Terriers were used to transport messages between troops on the front lines in World War I. Their bravery and spirit make them wonderful companions, and they possess great tenacity. 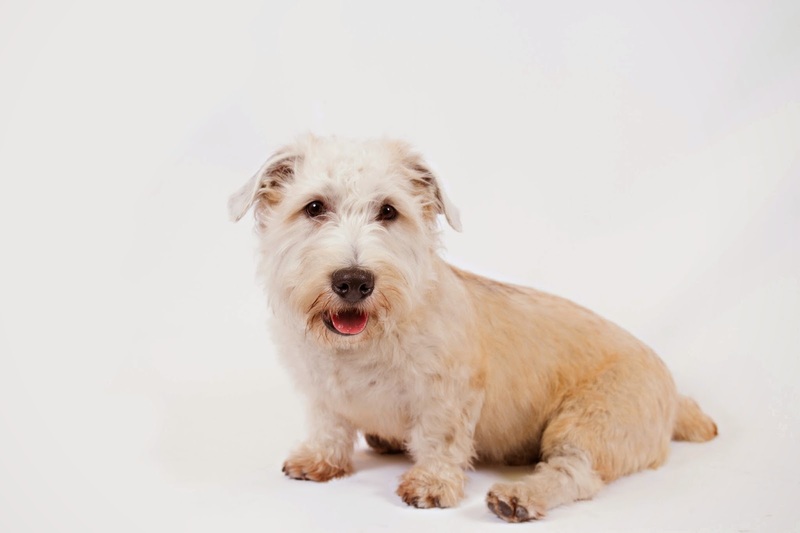 Loyal and friendly, Irish Terriers adapt to any situation, and they are deeply committed to their owners. 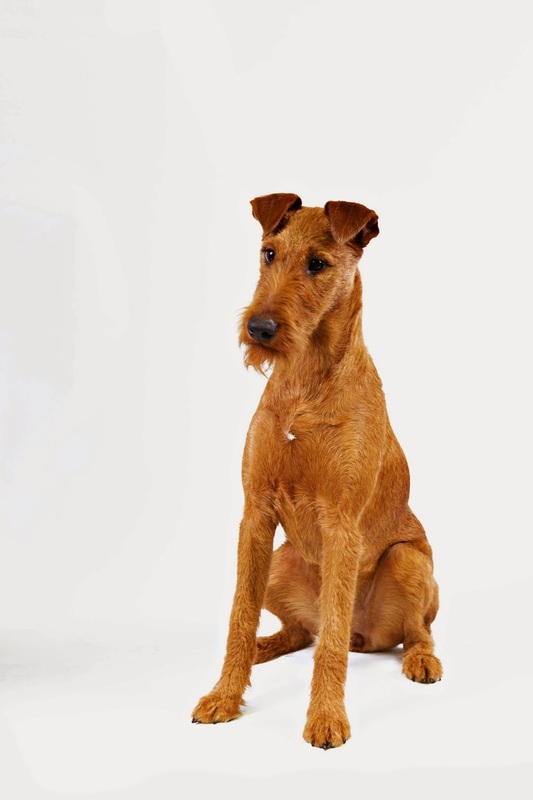 The Irish Terrier has the distinction of being the only all red terrier. 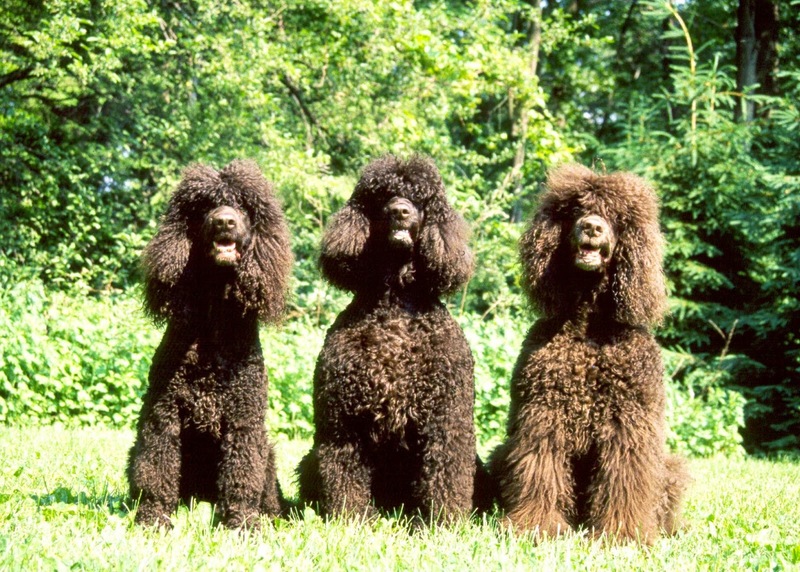 --Irish Water Spaniel: The tallest spaniel breed, the Irish Water Spaniel is active and energetic with a natural instinct to please. The breed is also known to be the clown of the spaniel family. They have a water-repellant double coat that requires brushing weekly. 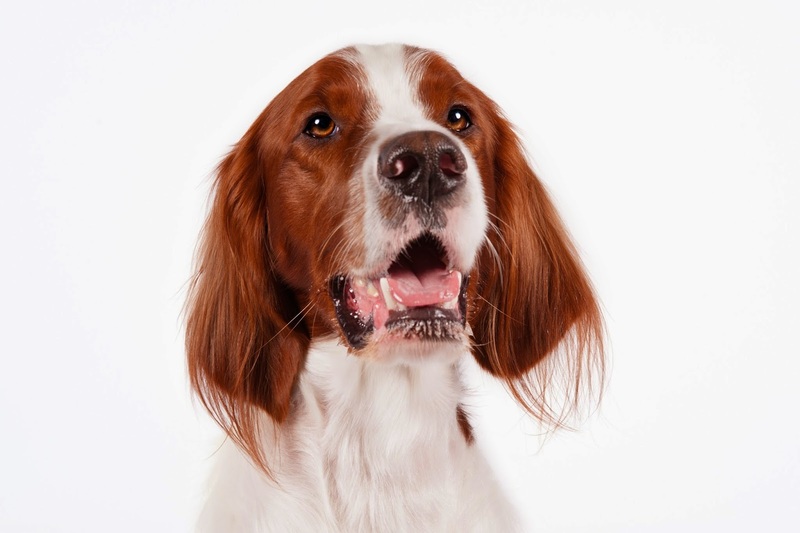 --Irish Red and White Setter: This breed is known to be courageous, spirited, and determined with a ton of energy. Because of this, regular exercise is very important. Ireland actually included the Irish Red & White Setter with the Irish Setter on a postage stamp in the early 1900s. Irish Red & Whites are kind and friendly, making them great pets for active families. 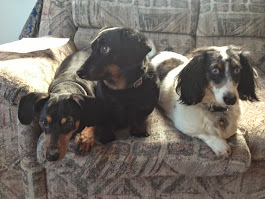 Their coats only need minimal brushing and trimming. --Glen of Imaal Terrier: The Glen of Imaal Terrier is named for the region in Ireland in which it came from. The “Glen” is a well-muscled dog that loves to work. The Glen had the unique task of paddling a turnspit – a canine-propelled rotisserie – in its native country. The Glen is courageous and is always ready to give chase. It is active, agile, silent, and focused when working.